mothers and infants and toddlers from birth to age three. school 168 days during the school year, and Early Head Start students attending 201 days. While education is the principal focus, promoting health and stability in the homes of our Head Start families is just as important. The Head Start program helps qualifying children succeed educationally by providing activities to help them grow mentally, socially, emotionally, and physically. The Head Start program is designed to educate three- and four-year-olds and prepare them to be developmentally ready to transition into kindergarten. 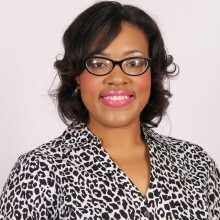 Chelsea Luster, a Proud Head Start alumnus, is the Associate Vice President for Head Start and Early Head Start. Chelsea joined HCHRA in 2015. She serves as an assistant to the Vice President for Head Start and Early Head Start with program planning, system implementation, and develops action plans for Head Start centers to take in order to enhance program strengths and correct areas of weaknesses. Prior to joining HCHRA, Chelsea worked as a Sr. Health Program Specialist for three years with the Mississippi State Department of Health, Office of Child Care Licensure. She has completed studies in Psychology, Public Administration, and Public Management Leadership. Her experience in coordinating training on child care program regulations and policies/procedures for licensing is a valuable asset in ensuring the quality of our Head Start program. Chelsea’s mission is to work in partnership with others to ensure that all children and families have the opportunity to thrive and reach their optimum potential. 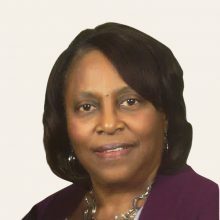 Thelma Dixon, Assistant Vice President of Head Start Administrative Services, has been with the Agency since 1970. She began her career with HCHRA as a Clerk Typist and worked her way up through the ranks. She is responsible for the management system whereby the services of the administrative division are planned, implemented, and evaluated. She works closely with the Head Start division directors to ensure that all program records are accurate and up-to-date. She also works with the Policy Council to ensure that its functions and responsibilities are carried out in a timely and effective manner. Thelma is a graduate of Henderson Business College in Memphis, Tennessee, with further studies at Jackson State University. 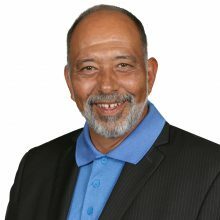 Michael R. Escalera is the Director of Facilities and Field Services here at Hinds County Human Resource Agency. He graduated from the University of Central Arkansas (UCA) with a Middle Level Education Math and Science degree. Before joining the team here at HCHRA in 2017, Michael worked for six years in the Weatherization Program through a Community Action Agency in Arkansas. He started as an Auditor working his way through the ranks up to Assistant Weatherization Director. Michael when on to help establish the first Multi-Family Weatherization Program in Arkansas. He also brings with him two years of Head Start, Facilities Health and Safety Coordinator experience. Michael is certified as a Playground Inspector (Golden Co.) Quality Control Inspector, OSHA 30, Weatherization Assistance Program (Pulaski Tech). He is very passionate about providing a safe and healthy learning environment for our youth.